Midwestern Gothic staffer Laura Dzubay talked with author Lucy Tan about her novel What We Were Promised, the importance of exposing oneself to new spaces and places, chasing inspiration, and more. Laura Dzubay: What’s your connection to the Midwest? 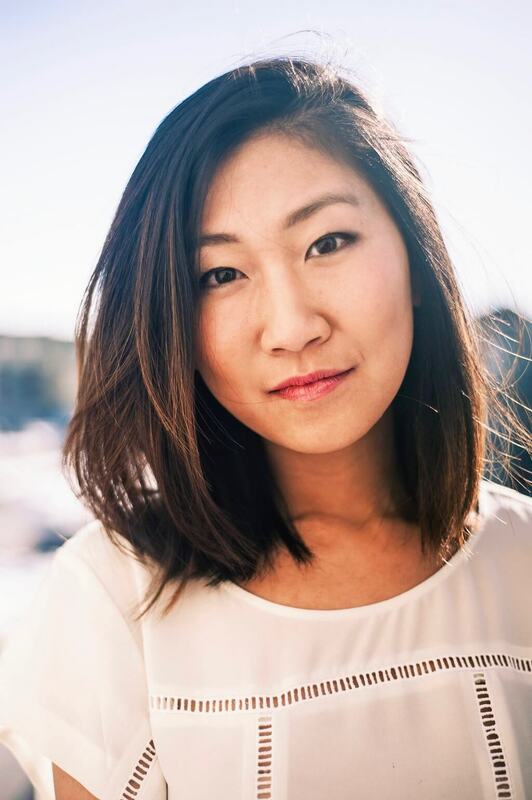 Lucy Tan: I lived in Madison, Wisconsin for two years as a graduate student in creative writing. I wrote almost the entirety of my first novel there. This fall, I’ll be returning to UW as a fiction fellow at the Wisconsin Institute for Creative Writing, so it looks like I’ll be writing my second novel in the Midwest, too! LD: In what ways has the Midwest influenced your writing? LT: The natural beauty of the Midwest is a pretty strong influence. Sudden and fierce summer showers, the intense greenery of summer, the fiery colors in fall, the unrelenting snow in winter… I know I’m in the minority when I say that I love places where the natural world reminds you who’s really in charge. When I was living in Madison, ice used to collect inside my bedroom window, which was right up against my writing desk. I’d have to microwave my coffee every fifteen minutes. So, I guess you could say that the Wisconsin influenced my writing process in a very real way. But what has been the strongest inspiration are the small towns in Wisconsin. Small towns breed tight, distinctive communities, and there is such pleasure in squirreling observations away for use in later work. I’m working on a project now that is set in the Wisconsin Dells because I took a trip there and was completely fascinated by it. I feel similarly attracted to Spring Green. I wish I could interview everyone who ever grew up there. 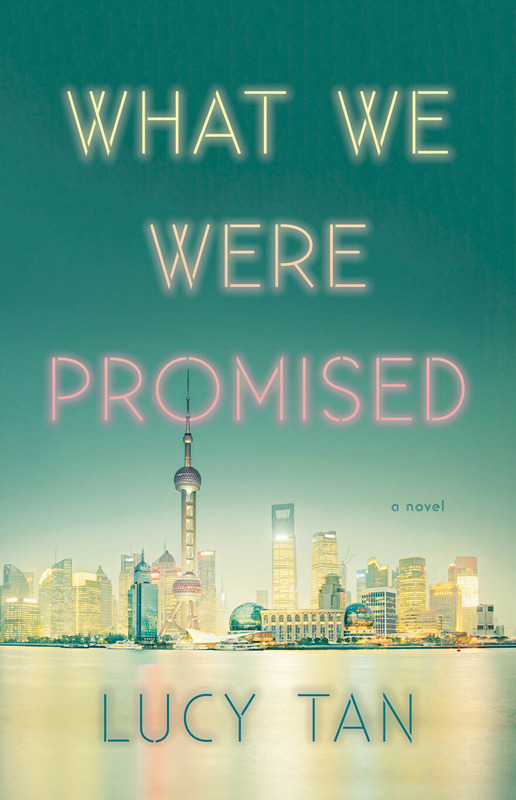 LD: Your new book, What We Were Promised, focuses on a family that has returned to China after spending several years living in America. What prompted you to tell this story? LT: Here, too, investigating communities was a big motivator for me. China has changed so much in the past fifteen years, and Shanghai has exploded as a metropolis. It’s a city in which people from all different backgrounds have come to live and work. When I was living there in 2010, I became obsessed with chronicling the ways people from different social classes interacted with one another. Years later, in my MFA program, I wrote a story about one specific interaction: two hotel maids accused by a wealthy tenant of having stolen a bracelet from her bedroom. This eventually became the opening to my novel, which, in its longer form, explores conflicts between a range of communities: rich vs. poor; local vs. international; and single vs. married life. I wanted to capture Shanghai as it was in a specific moment in time—where there is the hope of China becoming a major world power, but when it is nonetheless weighed down by its complicated social and political history. LD: Much of the important backstory in the book is revealed gradually, like Lina’s relationships with Wei and Qiang. How did you handle maneuvering between different time periods and places while you were writing? LT: I knew I was setting a hard task for myself by writing a novel that demanded a reader’s interest in two parallel storylines which shifted between multiple perspectives. Though it takes a while for my characters’ backgrounds and relationships to be fully revealed, I hoped that the tension in the beginning (the bracelet theft and arrival of Qiang) would be compelling reasons for readers to want to get to know my characters better. I wrote the chapters in the order in which they appear, often not knowing what would happen in the story beyond a chapter ahead of what I had written. Of course, I had a vague idea of the relationships between my main characters, but certain details and actions didn’t crystallize in my mind until they happened on the page. Writing the novel out of chronological order felt strangely natural; I didn’t overthink the ordering of the scenes, though I’m sure I must have shuffled things around upon revision. Because so much of the novel is told in backstory, which can sometimes slow pacing, I was careful about making sure each scene set in the past advanced the reader’s understanding of the story told in present day. I wanted it to be clear that although these two storylines were taking place in different time periods, they were part of the same narrative. LD: The Zhen family is forced to adapt first when they move to America and later when they arrive in Shanghai. What do you think is the importance of telling a story that navigates multiple settings and cultures? LT: For many people with international backgrounds, the question, “Where are you from?” is an increasingly complicated one to answer. When growing up in America, I never felt very American—I felt Chinese, because my physical appearance and upbringing made me different from those in my community. When I was living in China, I felt very American. I suppose it’s always easier to spot the ways in which you feel different from your surroundings. Being exposed to multiple settings and cultures is a nice reminder that everybody is an outsider somewhere. I also think that when you live in one place and in one community for too long, it’s easy to stop questioning what you do or why you believe certain things. When you meet someone with a different background, it’s an opportunity to re-think the beliefs you took for granted. When I lived in China, I always loved these moments of self-reckoning. I like to think that traveling (in life and within the span of a novel) can offer readers a chance to take a closer look at their own belief systems. LD: What We Were Promised gives a lot of attention to characterization, using the space of the novel to go into depth exploring each character’s background and personality. As someone who also has experience writing short stories, how does your approach to detail in characterization change depending on the length of your story? LT: In short stories, it’s often important for a single sentence to serve many purposes at once. It might give a character depth, it might contribute to heightening the tension of the plot, it might reveal something about a relationship, and it might contribute to the tone of the piece or atmosphere of the setting. Because there are only a few pages in which to establish an entire world, the writing must be concise, and as a result, my experience building a character in short fiction feels more orchestrated than it does when writing a novel. When writing a novel, I’m able to enter a character’s head and stay there for longer periods of time, getting to know the ins and outs of their pasts and personalities. The process feels more immersive—like I’m living alongside the people I’ve created rather than switching between being in the room with them and watching them from above. The other main difference is that a short story is usually concerned with one or two main events that change a particular aspect of a character’s mindset or personality. Therefore, the characterizing details I choose will illuminate this specific change. Generally speaking, in a novel, there’s room to do so much more—to have multiple events change characters in large and small ways over a longer span of time. LD: The book also focuses on the differences and similarities between the affluent Lina and her housekeeper, Sunny, and on the significance of “objects of luxury” like Lina’s bracelet. What do you think is the importance of taking class into consideration in a story like this? LT: I think what’s considered “luxury” isn’t always consistent across social classes, but one thing everyone can agree on is the luxury of time—and not just the abundance of free time, but the richness of spending your work hours doing something you feel has value. Though Sunny is born into a poor farming family and has been given few opportunities in her life, her self-reliance and resourcefulness allow her to approach work with a sense of purpose. While Lina, on the surface, has every conceivable form of privilege, from travel opportunities to education to expensive material goods, she feels unfulfilled because she’s spent her life letting others make decisions for her. I think it’s those of us who live with intention that feel the wealthiest, no matter what our social backgrounds may be. LD: Do you believe that writer’s block exists, and if so, how do you deal with it? LT: What is often neatly referred to as “writers block” feels much more complicated to me—and thank goodness, because that means there’s more than one way to move past it! Inspiration has many channels, and it’s rare that every single one is blocked at the same time. I’ve gotten better at knowing what I need to do to become unstuck. For example, if I can’t get a character’s voice right, I’ll try watching documentaries or reading interviews. If I’m not sure which scene should come next in a novel, I’ll read or work on something else and wait for fresh possibilities to occur to me. If I’m having a crisis in confidence, I’ll try to remember that there are more answers to be found at the end of a draft rather than in the middle of one, and that there’s incentive to keep writing until I reach an end. Many times, dealing with writer’s block simply means not giving myself hell for it and trusting that the block will pass. LD: Are there any habits you like to keep or writing environments you often return to while you’re working? LT: I work best in cafes, where there’s a lot of human activity. Since the act of writing is so solitary, I like being in places where I can look up and be reminded that there’s a whole world moving around me, even as I’m almost completely existing in my own head. I also find I get the best writing done when I change my environment often. In other words, I’m literally chasing inspiration. LD: What’s next for you? LT: This fall, I’ll be returning to Madison. I’ll spend the year working on my second novel and teaching fiction at The University of Wisconsin as the James C. McCreight Fiction Fellow, an opportunity provided by the Wisconsin Institute for Creative Writing. It will feel good to be back in the Midwest again. Lucy Tan grew up in New Jersey and has spent much of her adult life in New York and Shanghai. She received her B.A. from New York University and her M.F.A. from the University of Wisconsin-Madison, where she was awarded the 2016 August Derleth Prize. Her fiction has been published in journals such as Asia Literary Review and Ploughshares, where she was winner of the 2015 Emerging Writer’s Contest. This is her first novel.